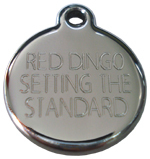 Dog ID tags deep engraved by Red Dingo. 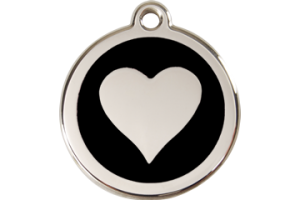 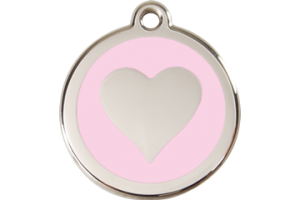 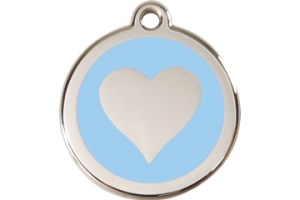 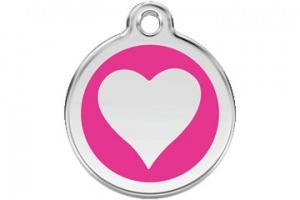 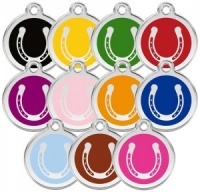 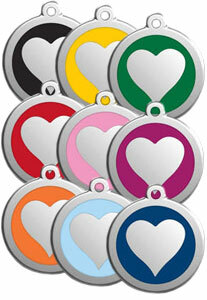 Hard-wearing polished stainless steel dog tag with enamelled Heart design, size Large 38mm diameter. I always purchase my Dogs collars, leads and Tags from D for Dog as they are of the highest quality Would recommend to anyone.